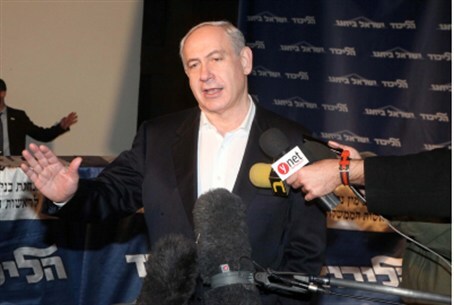 Prime Minister asks voters to vote Likud Beytenu, to foil leftist maneuvers. Prime Minister Binyamin Netanyahu said Monday that left wing and hareidi parties are plotting to bring about his downfall, and that only a strong Likud Beytenu could prevent this from happening. Netanyahu attacked Yair Lapid of Yesh Atid, Shelly Yechimovich of Labor and Tzipi Livni, who heads a movement named after herself, after they met last night to try and find common ground. "There are contacts between three lists – Livni's, Lapid's and Shelly's," Netanyahu said at a joint press conference with Avigdor Lieberman for the Russian speaking public in Jerusalem. "These parties have no common denominator. They come from the left side, but there is no economic, social and diplomatic subject that connects between them, other than the will and the aspiration to bring me down, and take Likud Beytenu away from the seat of power. "I know that there are even contacts and attempts to coordinate moves between some of the leftist parties and the hareidi parties," Netanyahu added. "The administration of the national camp must not be endangered," he said. "This would lead to more backsliding, to the division of Jerusalem, and cause damage to the vital interests and security interests of the citizens of Israel."